1 or 2 players, rules enforced, pieces glide into position, no ads. 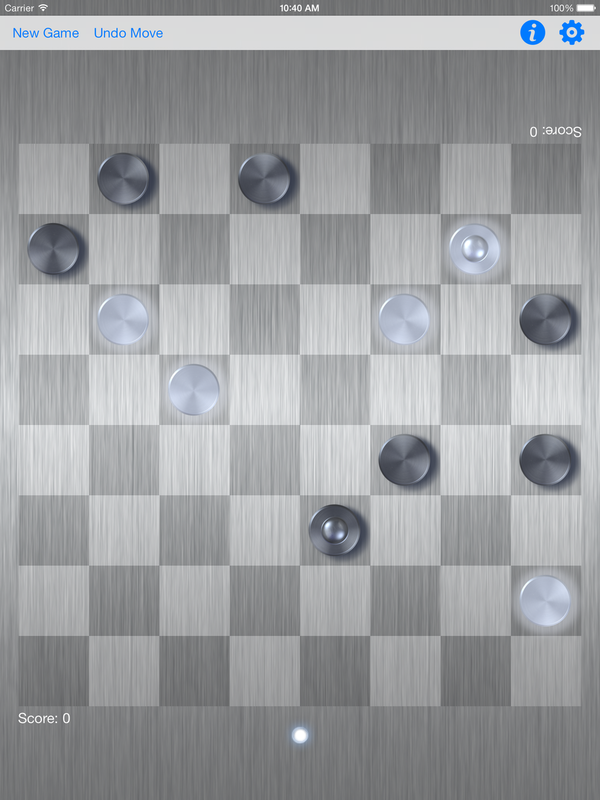 Play checkers with a friend or play against one of 3 robot players on your choice of beautiful wood, metal or glass checkerboards. Pieces and squares subtly glow to show you all legal moves and pieces slide into position when released. Set your opponent to Easy, and even the youngest players can win. Tap the Settings button to make one side or the other a human player (or both), or just set both sides to robot players and watch the battle unfold.